Did you know you don’t need a 220 Volt electrical hookup to have a hot tub? While most acrylic hot tubs require a 220V electrical hookup, a Freeflow hot tub and certain other hot tub models can be plugged directly into a regular 110 Volt 15 Amp outlet. That means all you need to do is take home your Freeflow Spa and plug it in to get started having some fun. 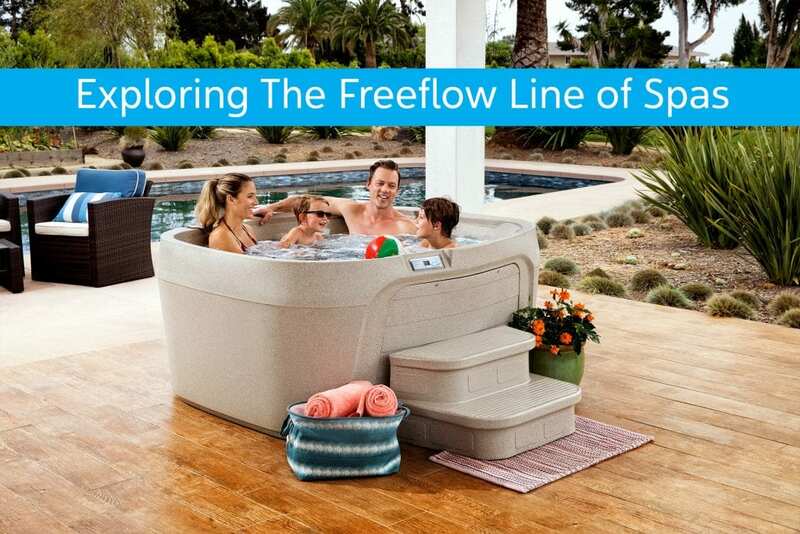 Freeflow is a value spa line, which currently has 7 models to choose from, and can fit anywhere from 2 to 7 People. Every model is unique. There is the 2-seater Mini, the diamond-shaped Tristar, the circular Aptos, the large Monterey, and a few square and rectangular models to choose from that would suit a family with 4 or 5 seats. Cost – Freeflow Spas tend to be less expensive than acrylic hot tubs due to their less expensive shell construction. You can take a Freeflow Spa home for significantly less than an acrylic spa. Lower cost means more people can afford a hot tub. And more hot tubs for more people is always a good thing! Shell Construction – Freeflow Spas are called “Plug-and-Play” Hot Tubs or Unicast Hot Tubs. They are made from rotationally-molded plastic, which is also used to create everything from traffic cones to kayaks. This plastic is lighter than the materials used to make acrylic hot tubs. It is also less expensive to make, keeping the cost of your Freeflow Spa down. 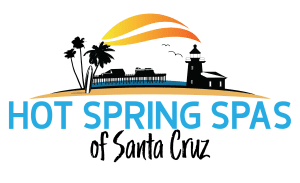 Portability – Some of these spas are so easy to move you can purchase them “cash and carry.” All you need is a small pick up truck and you can purchase your Freeflow spa and take it home that day! Water Care – At The Spa and Sauna Company, we recommend the @Ease Floating System for Freeflow Spas. You simply place the ball in the water and it floats. The system uses SmartChlor Technology to reduce the amount of chlorine and the amount of Shock Oxidizer needed. When the SmartChlor runs out, the ball flips the other side to alert you. With this system, you only need to use Shock Oxidizer once a month. It couldn’t get any easier! As you can see, Freeflow has many benefits in addition to being a 110V hot tub. Click Here to learn more about Freeflow Spas. In case you are exploring other 110V options, Sundance Spas, which makes acrylic hot tubs, offers a few hot tubs that will work in a standard 110V 15A outlet. These models include the Denali, Prado5, Dover, Tacoma and Jetsetter. Other brands we carry also have a few spas that feature a 110V model, but they require 20 Amps. Don’t use these with 15 Amp outlet, as you will trip a breaker. Caldera Spas offers two 110V models, requiring 20 Amp outlets. Those 110 V 20A models are the Aventine and the Tarino. 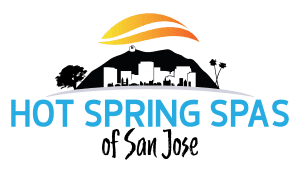 Hot Spring Spas also has some 110V 20A models. They are the Beam 110, TX and SX. We hope this information has helped you decide if a Freeflow Spa or other 110V hot tub might be right for you.